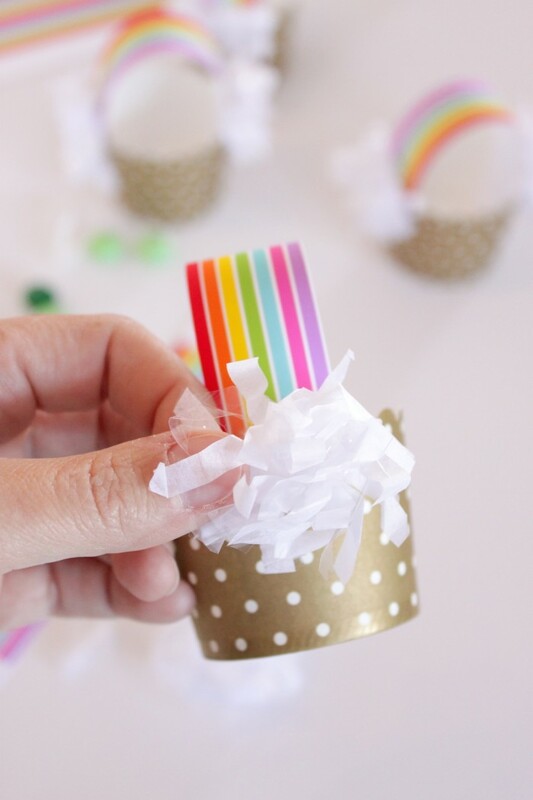 You know you can always count on us for a last minute DIY for your kiddos! 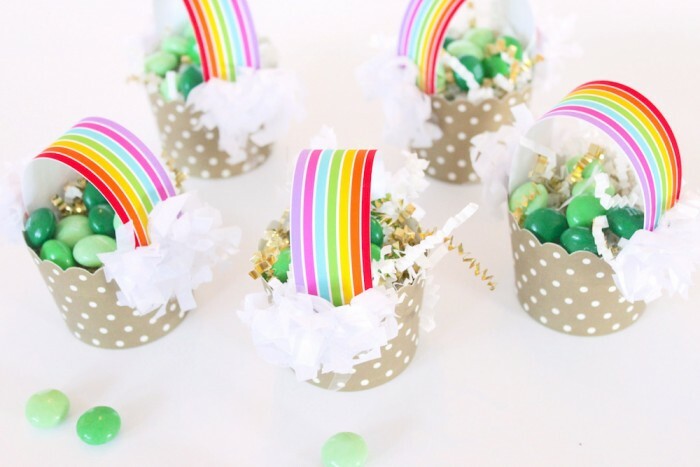 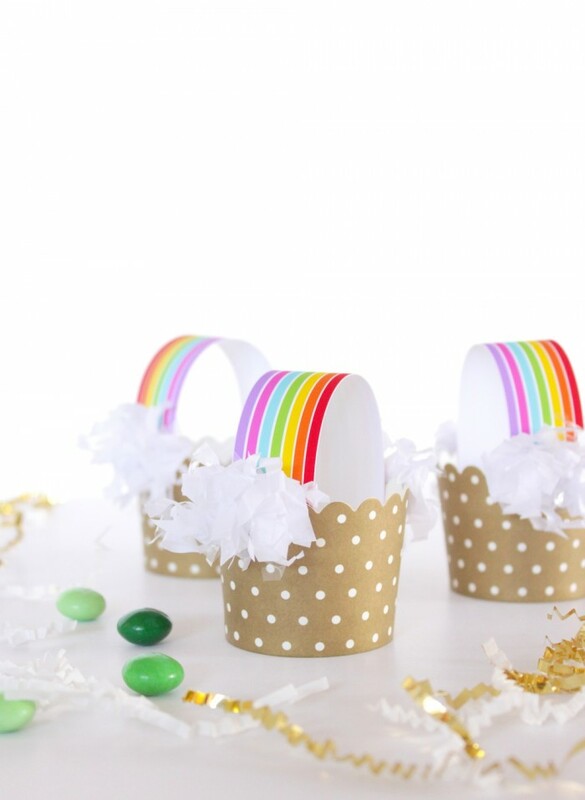 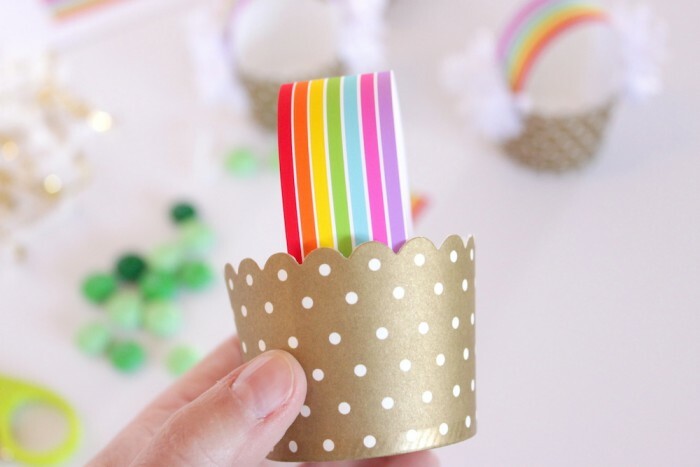 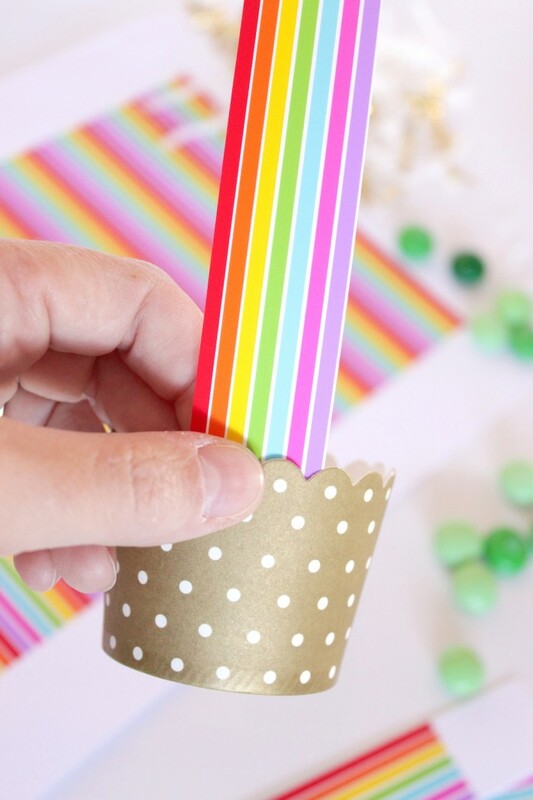 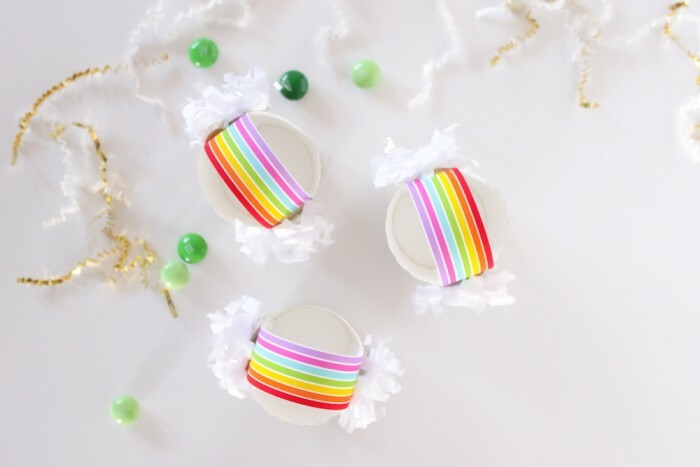 This is here for you just in time for St. Patrick’s Day…whether you want to make these for your kids, with your kids or for their class, these darling rainbow treat cups are quick and easy kid friendly DIY! 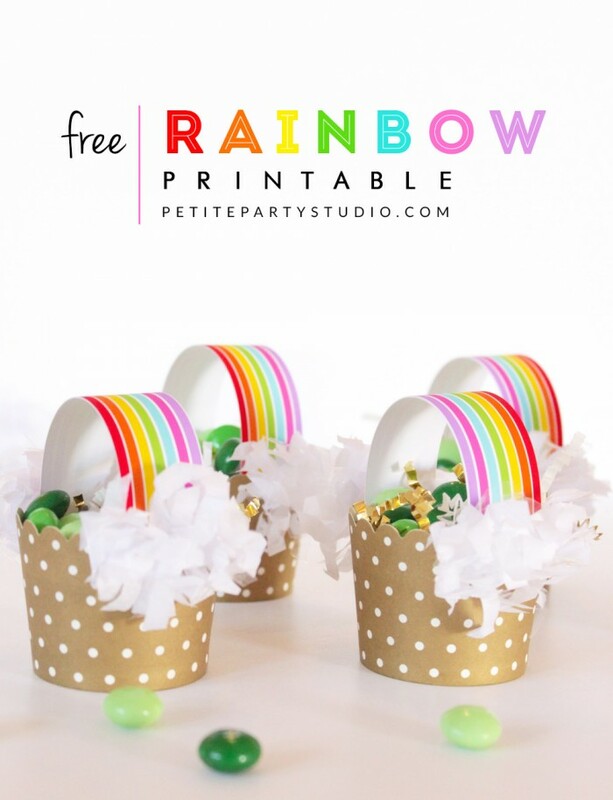 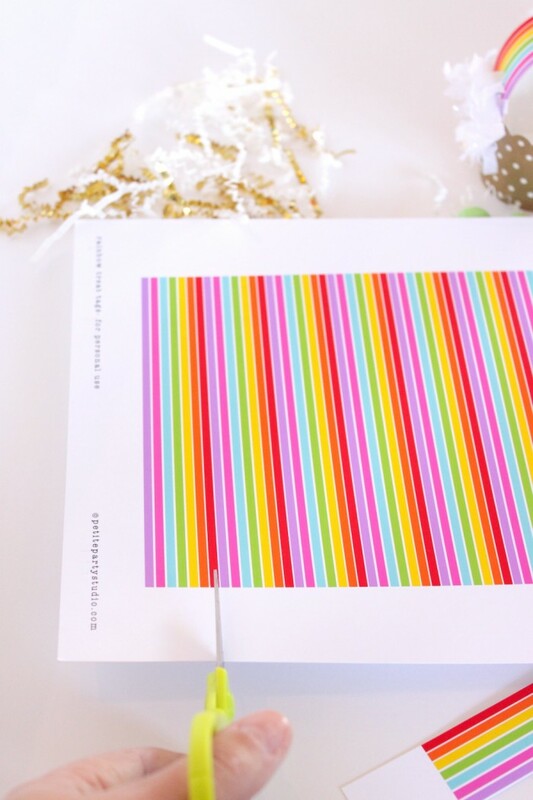 Start by printing your FREE download on a premium cardstock and cut out your rainbows. 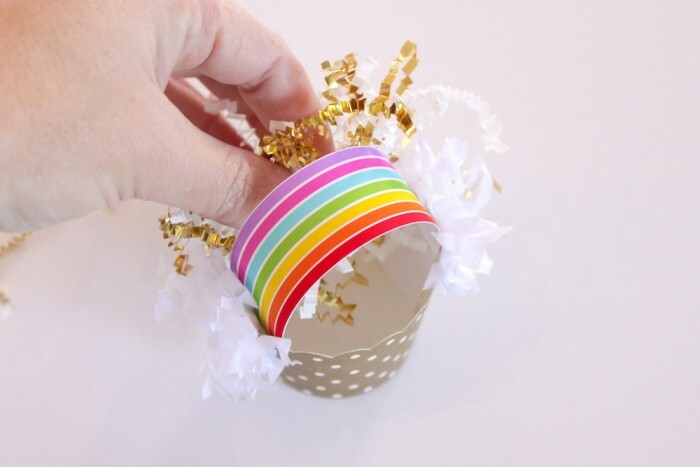 Now you’re ready to fill them up! 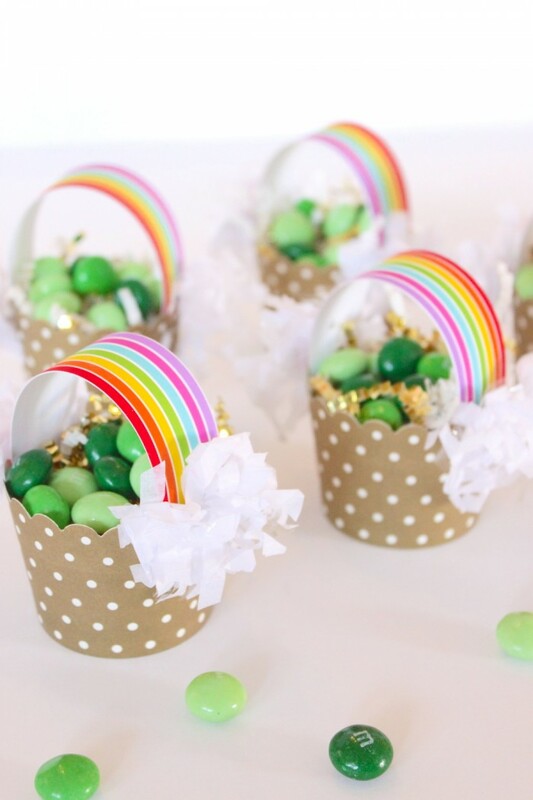 We used gold and white paper shreds to partially fill them before adding the candy. 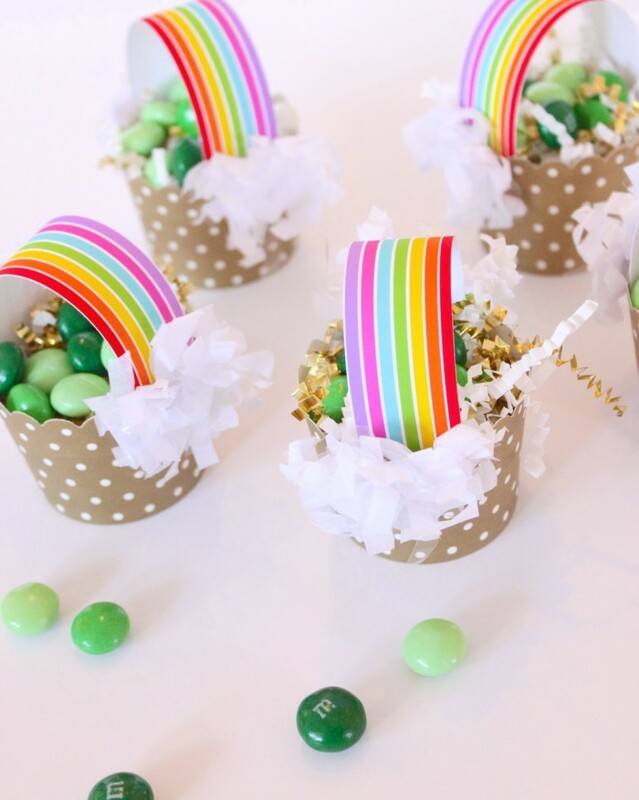 Mint chocolate M&M’s were the perfect treat to finish our fun & festive DIY St. Patrick’s Day Rainbow Treat Cups! 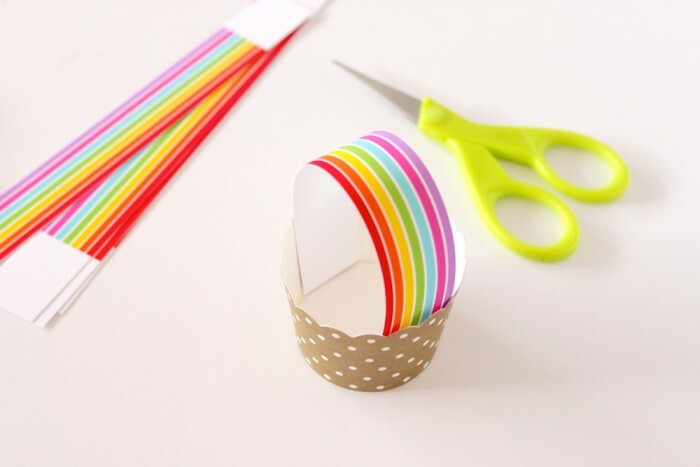 Ready to get crafting? 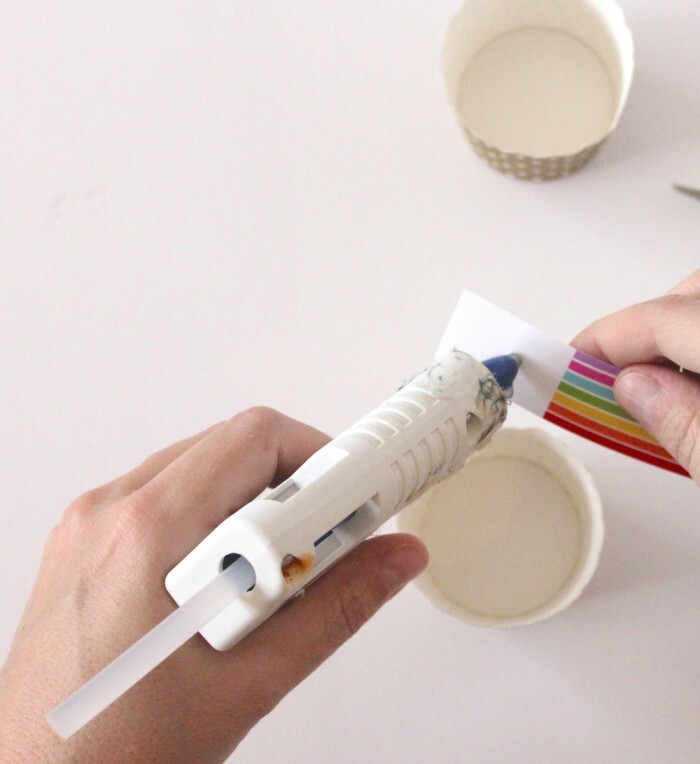 We love seeing your creations…follow us on Instagram and tag us and use hashtag #PPSDIY to show off your project! 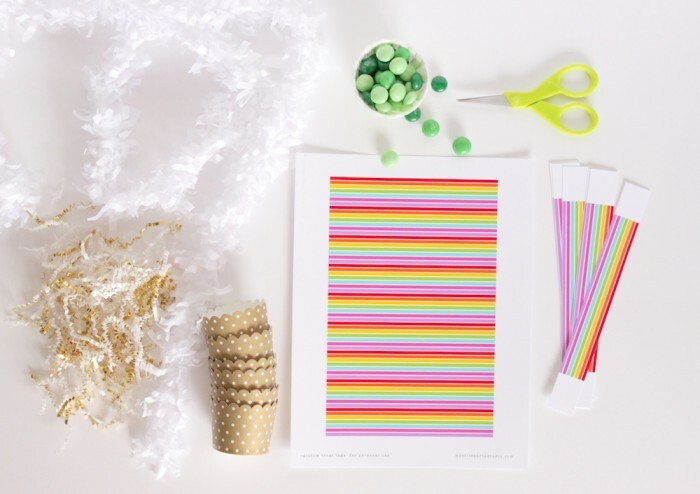 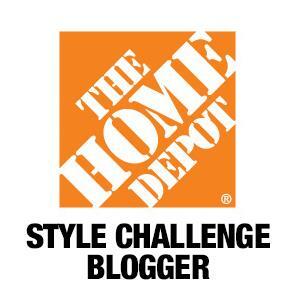 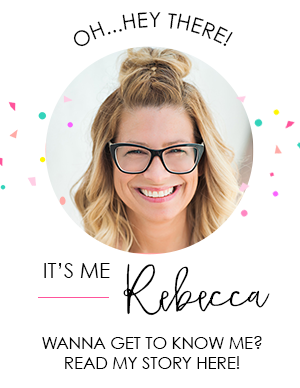 Don’t forget to download you FREE PRINTABLES HERE!! 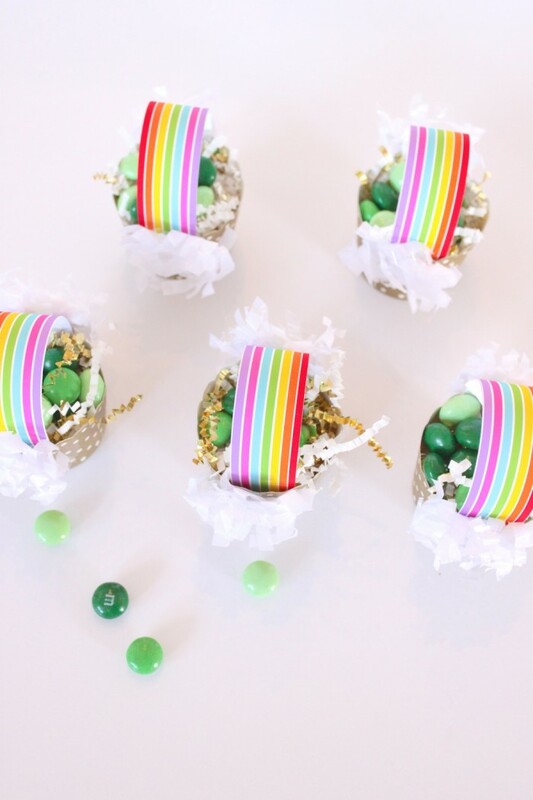 These are so darn cute and colorful!